This was a film I never got around to watching because honestly, I just had no desire to; it just didn't look very good to me. I don't know, it's been 22 years since this came out and I'm only now barely sitting down to watch this. What does that tell you? But, after reading The Film Connoisseur's glowing review of this just a few days ago, I thought maybe I wasn't being fair and misjudging this misjudged piece of cinema? Maybe I missed something in the trailers? 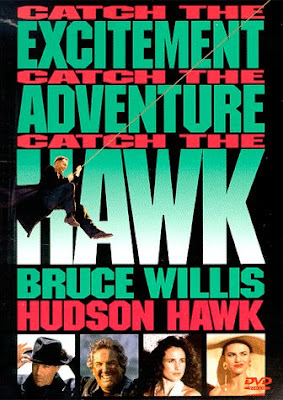 You can check out The Film Connoisseur's review of Hudson Hawk HERE. Sigh. Try and try as I might, I just could not get into this film at all. Michael Lehmann is just not a very good director, and even worse with action. Sure he did fine with Heather's, but that came out in a certain time and was a particular kind of film that catered to his filmmaking style. Hudson Hawk does not. And all I kept thinking about as I watched this was how The Adventures of Ford Fairlane, which had just come out the year before, was so much better and was able to take a similar concept and do it right. 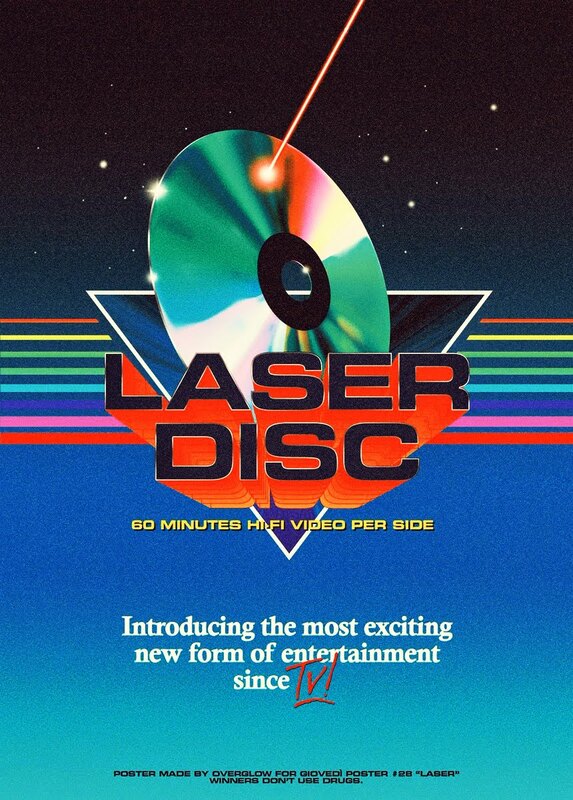 The film starts off way back in the late 1400's with Da Vinci (yes, Leonardo Da Vinci) inventing some kind of new device. Bad makeup, costumes, the works. So right away you're kind of thrown for a loop. The tone, the style, the look; it's all just very cheap looking. Flash forward to the present day circa 1991 and honestly, it's not much better. Only in place of the cheap looking film we're treated to cheap gimmicks, painfully forced humor, and some serious over the top and bad acting. And guess what? Though marketed as an action/comedy, there's really hardly any action in this. It seemed like I kept waiting and waiting for that to come back into play for what seemed like the majority of the film. Instead we're treated to trite visual and physical comedy that is so forced and unfunny most of the time that it's just painfully awful to watch. All the while Bruce Willis trying to play cool. Here's the thing. I get what they were trying to do with this. I'm all for these kinds of films when they're actually fun to watch. As I stated before, the closest thing I could come up with was Renny Harlin's excellent The Adventures of Ford Fairlane from 1990. Super slick and stylish, with Andrew Dice Clay being both cool and hilariously funny, a rockin' soundtrack and a knockout ensemble cast, Hudson Hawk and Fairlane share a lot of similarities, only not in terms of quality. I think my biggest beef would have to be with director Michael Lehmann. The guy was just all wrong for this. At times the film looks cheap, he doesn't direct action sequences well at all, and even the slapstick comedy bits fall flat. Everyone's ridiculous overacting doesn't help matters much either. I'm sure the point was to play caricatures of stereotypical villains, but everyone just came off as annoying to me. I liked the idea of Hawk using classic songs and their running times as his ques for timing his heists. But it just wasn't done very well. I think had a different director been behind this, it would have looked and sounded so much better. It all comes off as somewhat incompetent and an uneven mess. Seriously, a good portion of the film leaves you wondering if this is a first time director taking on his first gig. Now, not being a fan of musicals in general except for maybe 3 (Little Shop of Horrors, The Blues Brothers and Hedwig), I think if they had done a full blown musical number when Hawk was pulling off a heist instead of only playing the music somewhat lightly in the background while Willis and Aiello only whisper and hum along, that would have turned out a helluva lot better than this. Sure it wouldn't have made sense singing aloud while they're secretly trying to pull off a job while security guards are in the next room, but really, does any of this movie make any sense? Plot? Confusing to say the least, but something about a husband and wife team of rich thieves who want to steal a set of crystals that are supposed to deliver something spectacular. What exactly? I honestly have no idea. They con the famous Hudson Hawk (who's literally just been let out of prison) to pull off various jobs by stealing different works of Da Vinci art that hide sets of crystals that when put together, activates a device designed and created by Da Vinci himself for something or other. For a film with the producing talent of Joel Silver (one of the biggest action producers at the time) and screenwriter Steven E. de Souza (Commando, Die Hard, The Running Man, 48 Hours, Ricochet), and starring Bruce Willis, you would think this would have been a slam dunk. I think I'll end this with a somewhat positive note as I've exhausted myself by bashing this thing to death. I gotta give Bruce Willis credit. The guy was at the peak of his career when he helped develop the story to this and honestly, if his name wasn't all over this, I doubt it would have ever gotten made. So to be one of the biggest action stars in the world at the time who came out with 4 films that year alone, as well as Die Hard 2 the year before and The Last Boy Scout the year this came out, and to take a gamble on something like this surely takes balls and I commend him for it. Obviously it didn't hurt his career. I love the taglines for this; "Catch the excitement", "Catch the adventure". Sorry, couldn't find any of that in here.